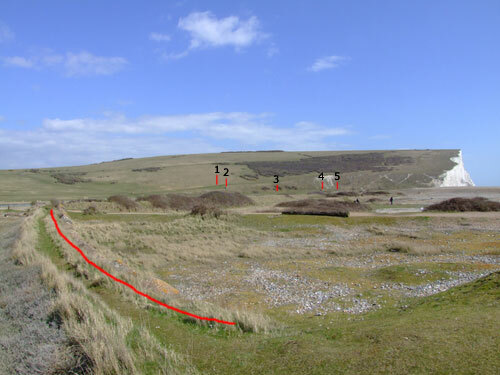 Taking advantage of the relatively good weather, I took a trip out to Cuckmere Haven, a gap in the chalk cliffs between Eastbourne and Seaford where the Germans would have landed had Operation Sealion been given the go-ahead. 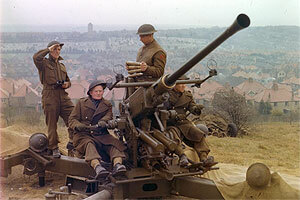 Consulting the Defence of Britain Database - it seems to dictate where I go about the countryside nowadays (a bit like Hitler using his Baedecker guide to determine which British cities to bomb) - I jumped on my bike and headed off. Perched precariously on an eroding slope, this example is listed in the Defence of Britain Project Database and was in danger of collapsing. 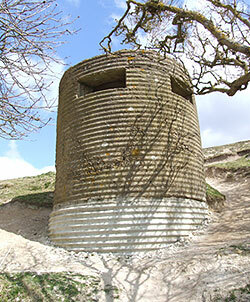 However, a new concrete base (corrugated, in keeping with the style) has been used to underpin the pillbox, which is good to see; although most people regard pillboxes as eyesores they are very much worth preserving. 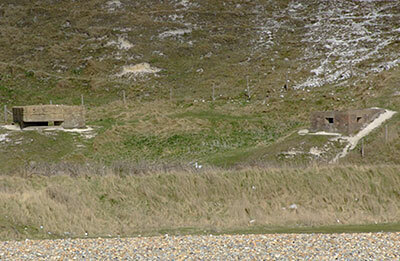 Below is a pair of pillboxes much nearer the coast; another Type 25 and one of an unidentified type. 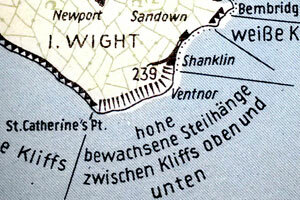 Situated near the base of the east slope of the valley before it begins to rise up into the Seven Sisters, the gap in the cliffs is clearly seen here. The Type 25 is interesting in that it faces away from the coast, and was obviously intended to protect the rear of its neighbour. 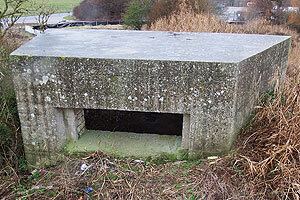 Seen here from the reverse angle, the non-standard type appears to have part of its embrasure bricked up, perhaps to limit its field of fire to allow it to concentrate on a small killing ground. 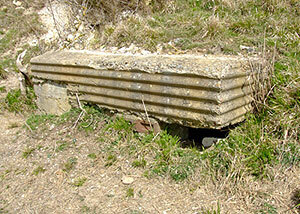 The rough and hurried construction of this pillbox is indicated by the cracks forming in its walls. The pillbox is locked up; it may be a roosting site for bats. 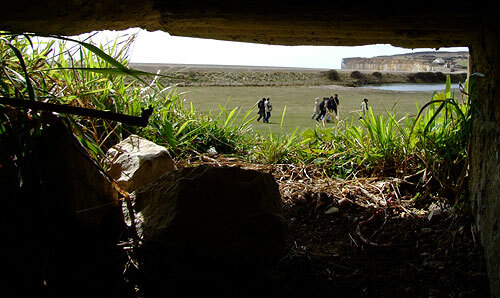 This defence is not so easy to see as it's being slowly covered by soil eroding from the slope above it, enhancing its camouflage; hopefully the future of the pillbox won't be threatened by this. 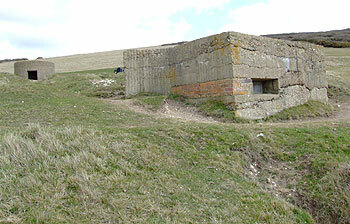 This final pair of pillboxes is the closest group to the coast on the east side of the valley. 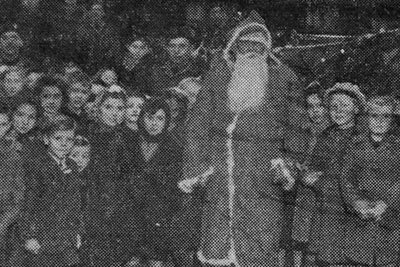 On the left is another non-standard design, similar to the type already mentioned. The type on the right is a Type 23; if you can stand the damp smell, you can enter both. 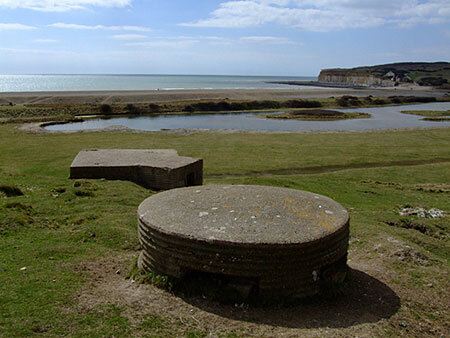 Had Sealion been launched, these pillboxes were not the place to be; the defenders would have had little hope of surviving the German onslaught. To repel the invader was unlikely; the full brunt of the attack would be concentrated at this point, and the most to be expected from these defences was that they would delay the German advance until reinforcements arrived from further inland. 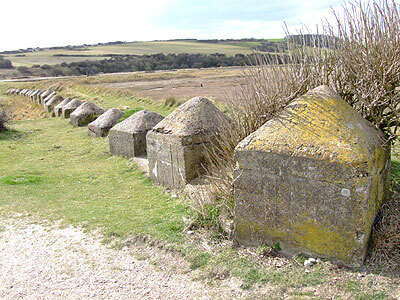 The final obvious defence on the east side of the Cuckmere Valley was this line of anti-tank blocks, with a small pair of concrete blocks to hold a length of rail or other road block on a rough track leading up the valley. There were twenty in this short line, the line continuing on the west side of the river, in conjunction with an anti-tank wall. There were other anti-tank ditches in the area; I'll return to get a better idea of them at a later date; the weather forecast for Friday looks good. In the meantime, the image below shows the defences; the dragon's teeth at left and the five pillboxes on the far side of the valley.